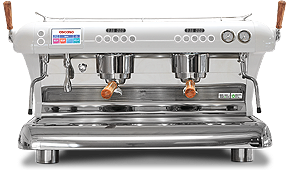 We’ve created an energy-efficient, long-lasting and hygienic coffee machine equipped with all the features to produce outstanding espresso coffee. We invite you to come and discover the reality of our big dream. The beautiful Big Dream is the result of years of development and the enthusiasm of a team of engineers with the ambition to change one hundred years of history. The first espresso coffee machine was manufactured more than 100 years ago. Since then, the materials used to manufacture coffee machines have barely changed. 100 years in which there has been a huge evolution in terms of the design, exterior materials and electronic devices that facilitate and improve coffee extraction… Yet inside, at the heart of the machine, nothing has happened for over a century. Brass and copper are still the main components of coffee machines. The technical characteristics of these materials tell us that thermal stability, energy efficiency, mechanical resistance and lime scale adherence to the components cannot possibly be optimal. So… why not seek out the best? Our technical team of dedicated engineers has devoted more than four years to this quest. We wanted to evolve. To change 100 years of history. There were other options out there, and they were better. At our factory in Barcelona, we have engineered change: more than a century later, we have manufactured the first coffee machine that eschews the conventional materials of the previous century, replacing them completely with stainless steel. 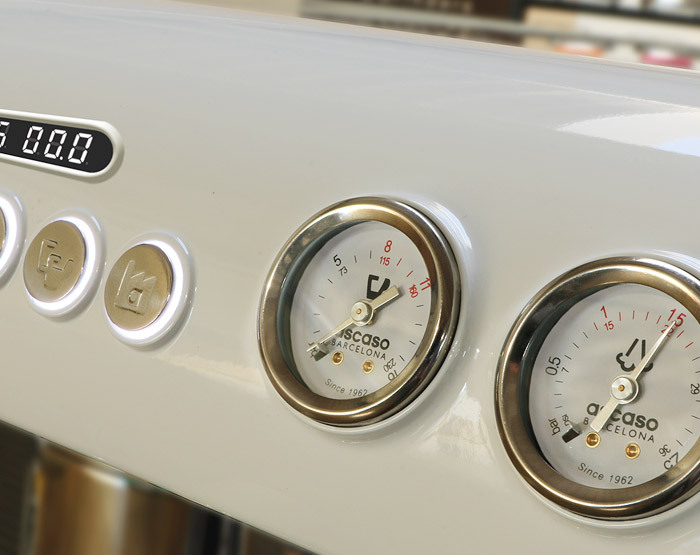 The first coffee machine in the world in which 100% of the components are made from stainless steel. The body is made entirely from 304 grade stainless steel. At 2.5 mm thick, we have created a coffee machine for life. 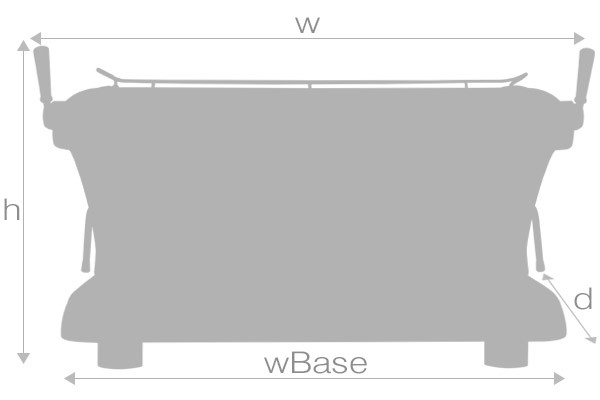 The machine’s base is also manufactured from 304 grade stainless steel in a high-gloss finish. There are no joints or corners. Hand-welded and polished. The complex manufacturing process, which includes a combination of both artisan and high-tech processes, has produced what we consider to be an extraordinary result. A spectacular and unique piece. Objects of this complexity and manufacturing skill are no longer made in the 21st century. Mass production and serial manufacturing have done away with them. We wanted to rescue this artisan form of creation using the highest quality materials. To create a beautiful and eternal product. The body is manufactured from a combination of high-gloss 304 grade stainless steel in areas in contact with water and Baydur for the outer shell. This is a modern material that combines freedom of design and practicality: excellent mechanical resistance, resistant to high temperatures and a watertight interior. Baydur offered us unrestricted design options. Its curved, sinuous shapes are impossible to achieve with other materials. It also meant we could use all the colours from the RAL colour chart and special paint textures to achieve the perfect finish. High-tech, top quality button pad. 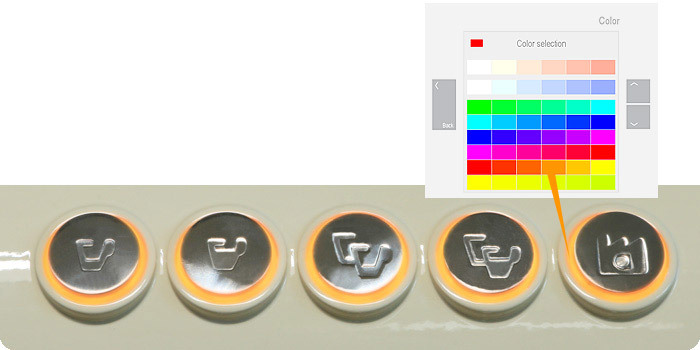 Button pads in AISI 316 stainless steel with a high-gloss finish and RGB LEDs for a choice of up to 256 colours. 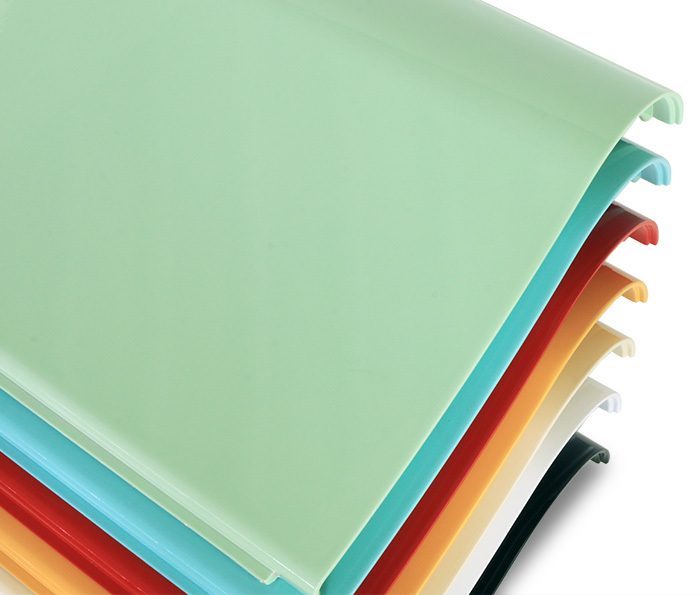 A special silicone membrane offers a comfortable yet precise touch experience (soft touch). With five programmed volume selections. ‘Volume’ refers to the option of setting the quantity of water in each coffee. It means the barista does not to be constantly supervising the extraction process and allows exact parameters to be established for the coffee to be accurately replicated. High-precision pressure gauge. Casing in AISI 304 stainless steel. Metal hands. Lets the barista see the pump pressure in real time during extraction. Ergonomic filter holder: the filter holder is one of the most heavily used parts of the machine. It is important that the design facilitates the barista’s work. We focused on various aspects of the handle: designed to fit comfortably in the palm of the hand, conical, conveys a pleasant feeling of strength and safety during use. The 10° tilt facilitates its use, allowing the hand to adopt a natural position. 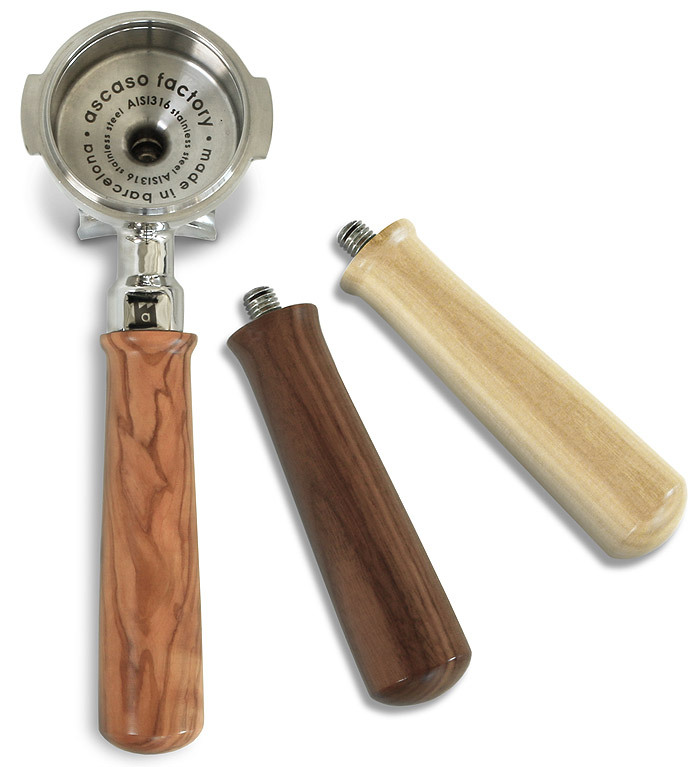 We use olive wood (Olea europaea) as standard but can also customize the handle with oak or walnut. Its ergonomic design has been tested by professional baristas. The stick facilitates use and improves control. 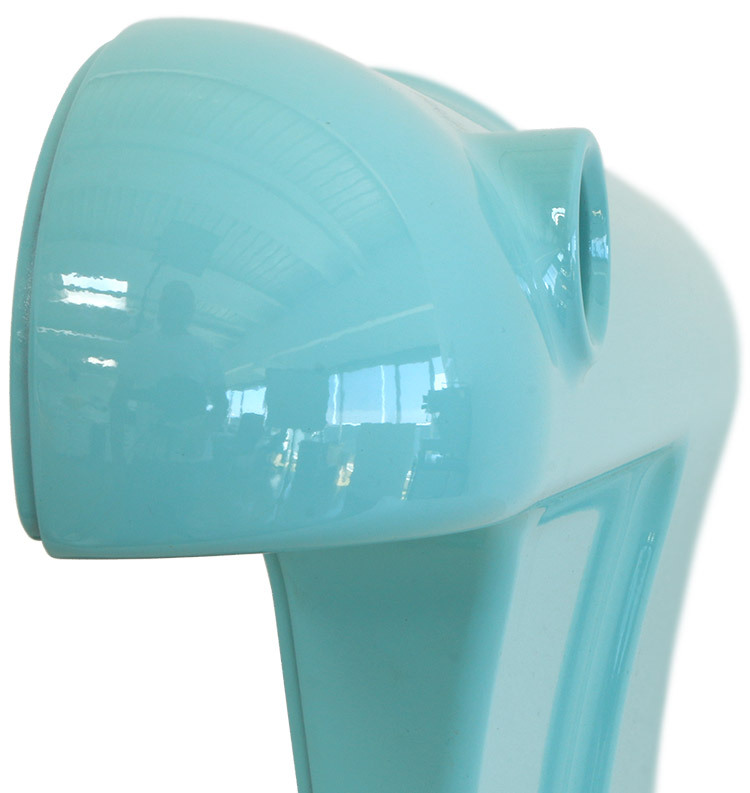 It consists of a cam system which is ergonomically more suitable for manual handling. A smooth, intuitive ‘natural’ movement makes it easy to use and control. When the barista activates the cam, he can adjust the amount of steam in proportion to the level of force exerted. It can also be left completely open. Made from ‘cool touch’ AISI 316 stainless steel. Very thick (12 mm in diameter). The heat insulation (double stainless steel wall + insulating material) prevents burns and makes it easy to clean any milk residue. The ergonomic multi-directional design (360º) and length allow easy, flexible movement of the wand so it can be adapted to the size of the jug. Two types of steam outlet in PEEK (anti-heat). The special design of the steam outlet, with its rounded edges, soft shapes and four tangential steam holes, make it easy to get the perfect consistency of the cream or milk foam. Outlet with four holes 1.2 mm in diameter, with a smaller steam flow for greater control. Outlet with four holes 1.6 mm in diameter with a larger steam flow for heating large quantities of milk. Hot water tube in AISI 316 stainless steel. Teardrop design. Unique. Easy to clean. 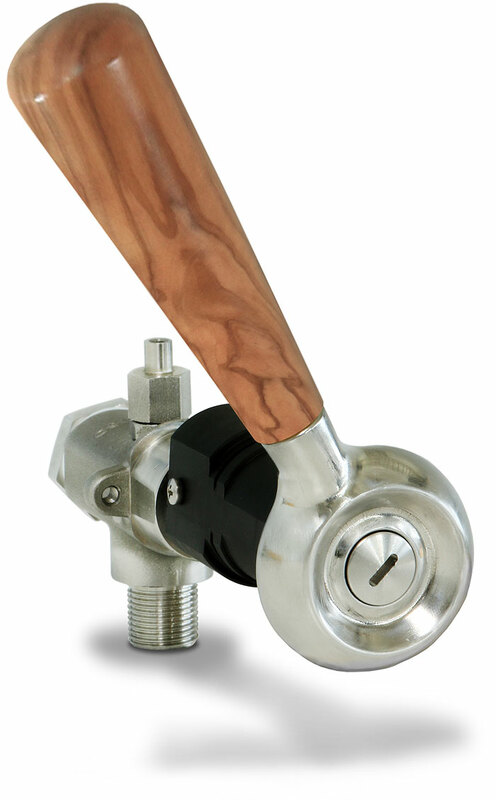 External temperature regulator in AISI 316 mirror-polished stainless steel. Designed to keep the bottoms of the cups clean. Rail: Solid and attractive in high-gloss stainless steel. Spacious adjustable cup warmer (30ºC to 60ºC) in AISI 304 stainless steel. On/off option. 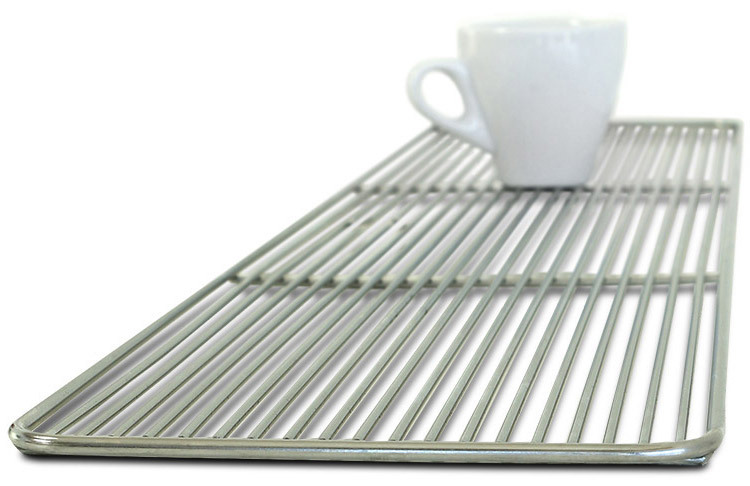 Keeps espresso and cappuccino cups at the perfect temperature for a delicious cup of coffee. LEDS in the work area. These give the barista a better view of the cup and enhance the visibility of the machine on the bar to showcase its spectacular design. To control the quality of the coffee. As a design or decorative feature. To facilitate the barista’s work. Button panel LEDs. We use state-of-the-art RGB LEDs which offer a choice of up to 256 colours. Both LED zones (work area and button pads) can be turned on or off independently. Colour is more than just a shade. It expresses feelings, reveals personality and communicates with others. We wanted our Big Dream to follow in the footsteps of its predecessor: colour, colour and more colour! A colourful statement of intent. Colour is its DNA… which is your favourite? We can paint the coffee machine in any RAL colour, using a very rigorous process that consists of three coats of paint both to protect the machine and achieve a deep, vibrant tone. We gave careful thought to the way users can customize their coffee machine to reflect the décor of their café or the coffee roast. 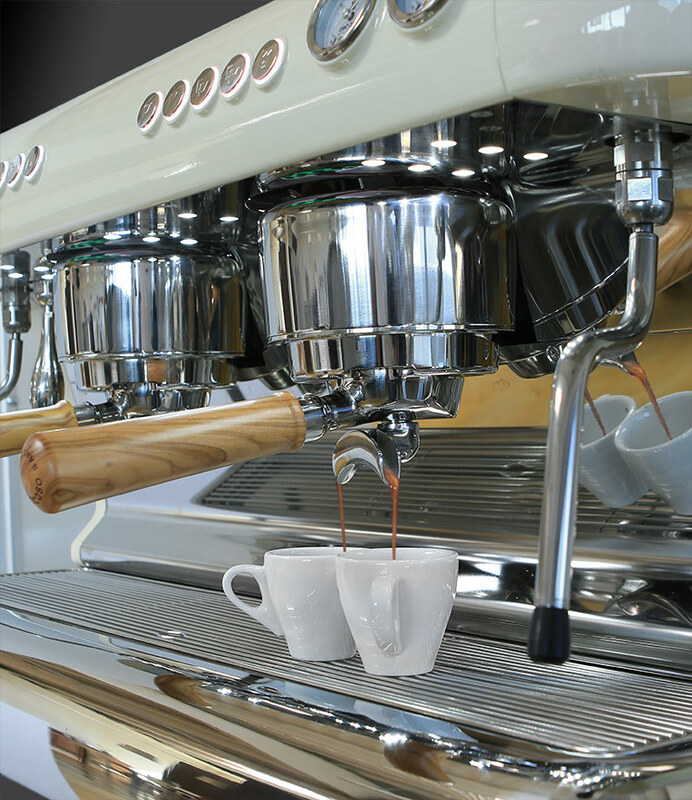 Our machines are craft products and this gives us the flexibility to respond to the requirements of our baristas. In the espresso world, when we talk about ergonomics we mean the optimization of the design of the coffee machine so the professional barista can work in the utmost comfort. Basically, what we are looking for is that the barista can perform his ‘choreography’ smoothly, comfortably and happily. 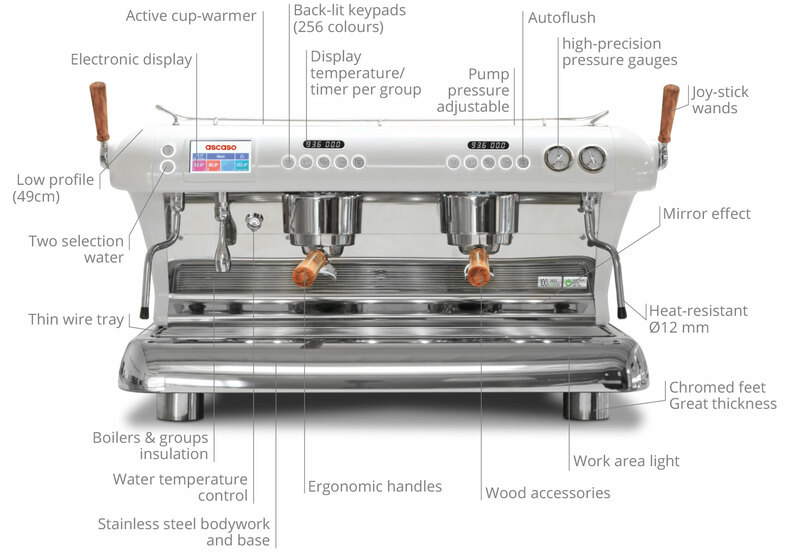 Based on structured data collection, we have designed our machine in line with the different ergonomic parameters demanded by baristas to ensure that their relationship with the Big Dream is a joyous one. 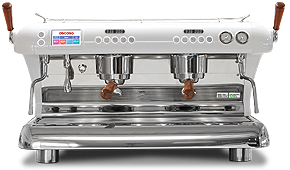 The essential elements have been devised and designed so that the creation of an espresso coffee and its specific choreography take place in the most comfortable possible circumstances for the professional barista. The machine has been designed primarily from the point of view of the barista, but we also took the technician’s perspective very much into account. This is a nice product to repair! It is easy to dismantle with standard tools. It has very few screws and the components are easily accessible. There is plenty of space to carry out repairs with complete assurance. This is a key factor to consider in a high quality product. Good design presupposes that the product can be dismantled and repaired with ease. The idea is that it will last for years and years. It is a matter of quality, productivity and also sustainability. We have worked on this component by component. Easy access. By just taking out a few screws you have access to all the components: Solenoid valves, heating elements… everything inside the machine. Internal valves. We have installed valves to facilitate the machine’s repair either on site or in a workshop. Steam wands. Very easy to dismantle. Easy to clean. 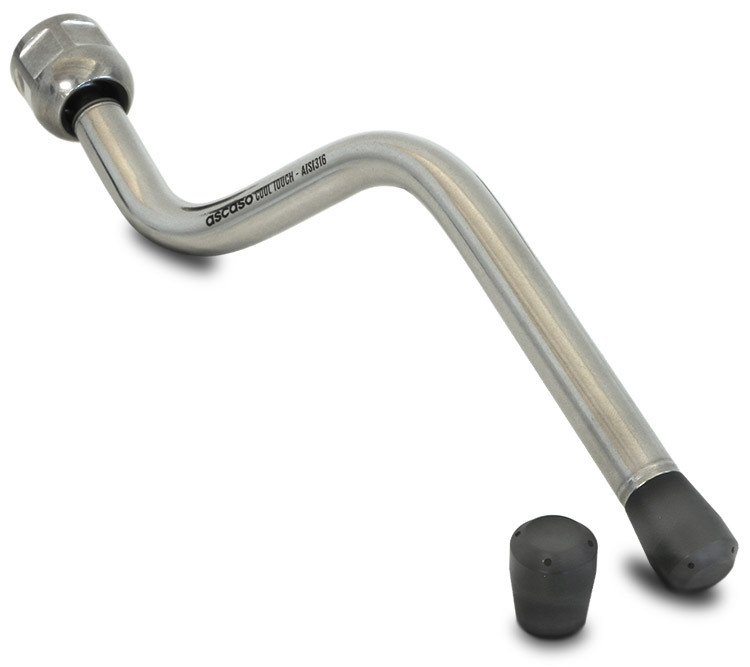 A special tube locking system in 316 grade stainless steel. We have created a new locking system by eliminating copper and brass. This system allows it to be assembled and dismantled with no risk of loss and with almost no effort. Electrical and electronic components protected and insulated from heat sources (boilers). Independent, unified electronic section. Easy access for repairs. The use of insulating material for boilers guarantees a ‘cool’ interior temperature and lengthens the lifespan of all the components, avoiding the need for repairs. This concept has driven the philosophy of our factory. In addition to the top-quality materials, meticulous design of components, rigorous trials and tests, the most important thing is to create honest products with reliable construction. Our coffee machines have been designed following this philosophy: the construction of reliable, efficient, sustainable, easy-to-use, healthy, safe, and virtually eternal products. And making them well. Very well. In short, this is what reliable construction means. Every Big Dream machine has an average of 12 hours of assembly and testing behind it. This is the time necessary to ensure that your machine lasts a lifetime. Quality is assured thanks to our internal quality control system consisting of over 25 points of inspection, carried out by specialists at our factory in Barcelona. Each and every machine we make undergoes a one-by-one test. One by one. The lab subjects our coffee machines to extreme life testing: making thousands and thousands of coffees, one after the other. Night and day. On full flow. We are determined to test the durability of our machines to the limit. And improve it! Thanks to a specially created robot, we apply an intensive usage programme to all the machine’s functions. Up-to-the-minute mechanical engineering and computer systems give us every last detail of information about the product and how it performs with use. 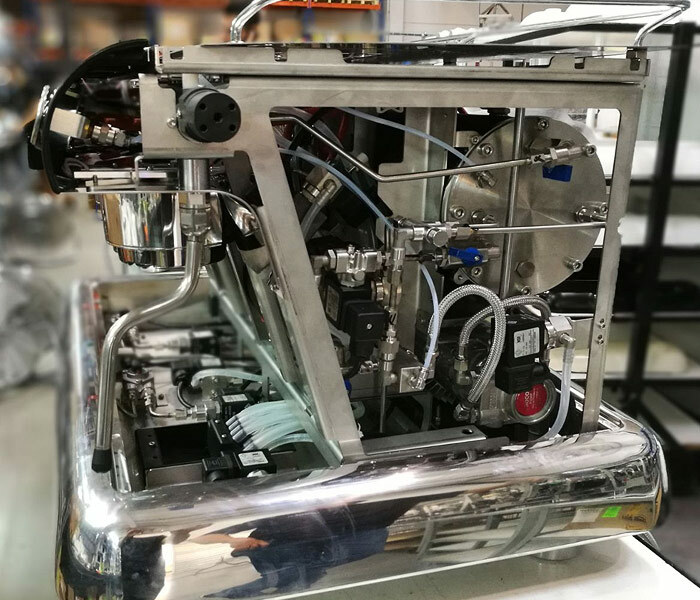 The final test of the prototype had a target of 1,000,000 coffees and steam and water services in two machines of two groups each. This is undoubtedly a key factor when it comes to achieving a reliable, long-lasting product. Yes. The answer is always ‘Yes’. Technical Support Service. Customer Service. When you buy an Ascaso machine, you are also buying the promise that if something goes wrong, we will fix it. We have access to the latest technical information. Customized training. And a 24-hour customer service and parts exchange. And yes, the answer is always yes.